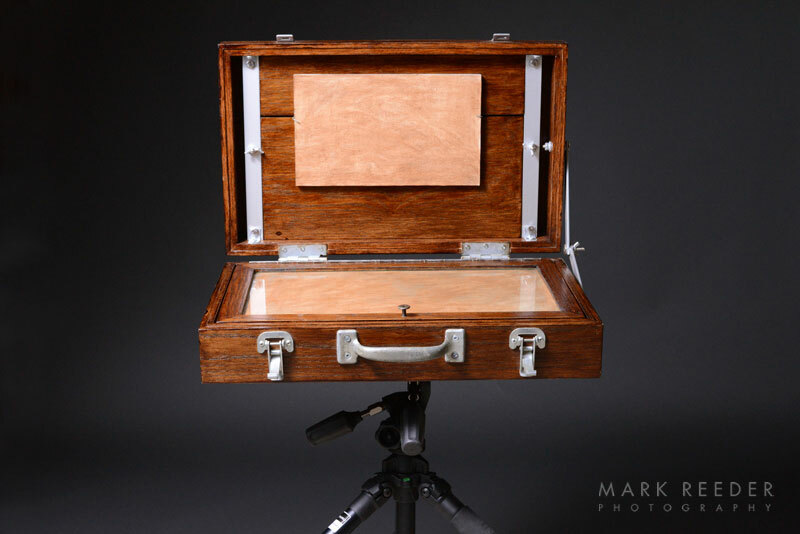 I wanted to start off 2014 with a little post about an easel/paint box I have made. Actually, I built this quite some time ago, it just didn’t make it into my blog until now. As some of you may know I like designing and building my own…well, everything. 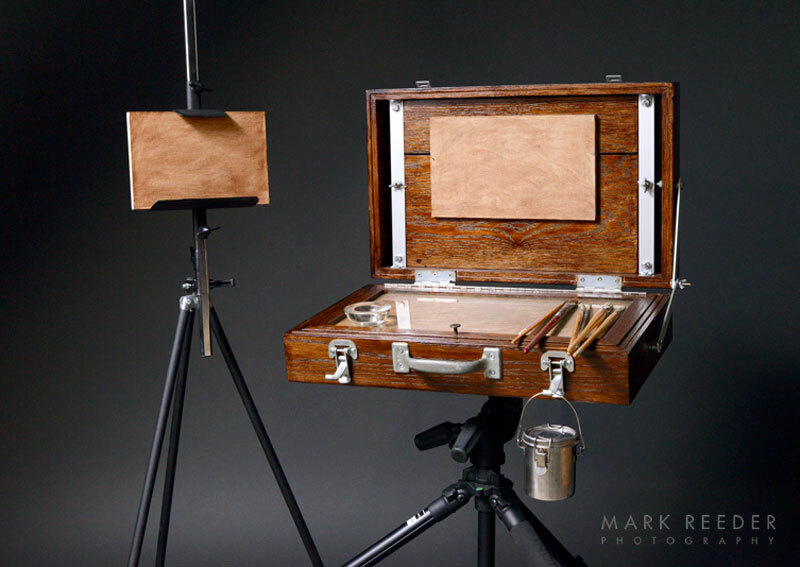 My last plein air easel was quite a bit smaller and required a separate case for my paints and things. I liked that one, there was never anything wrong with it, it was just another way of going about it. 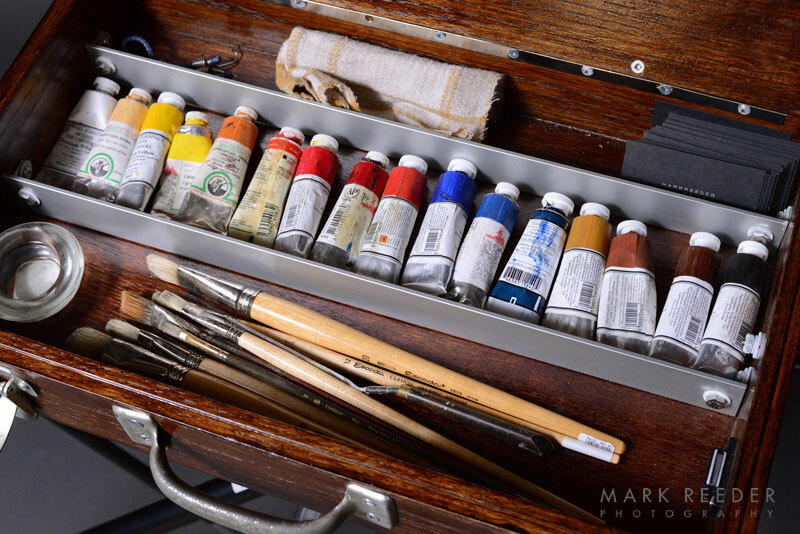 With this most recent design I wanted to have everything in one case to hold all my tools ie brushes, paints, rags etc and that it would also function as an easel or a spare panel holder. It’s a little bigger and not what I would necessarily want to lug around the bush for too long but in all reality isn’t that much heavier than all the other stuff combined that I used to have separate. It also seems to me to have turned into the luxury model, the classic Lincoln with all the extras maybe? Do people still drive Lincolns? Anyways, what I love the most about this is that it truly feels like a portable studio work station. I really like the warmth of the wood grain and that essentially everything is there, organised and contained. 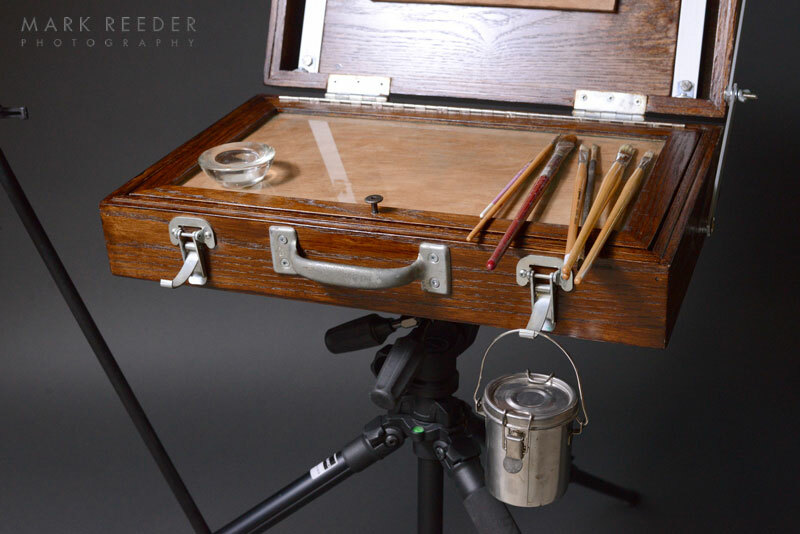 The palette flips up to reveal where all your tools of the trade are kept, the panel is easily removed and the entire unit can be secured to a tripod (a strong and sturdy one, mind you). All in all I think this is certainly great for travelling by canoe where you can enjoy your surroundings looking for a spot to paint and less time carrying much at all. Also, it turns out that I much prefer using this as a station about waist height, similar to how I have things in the studio. I use a very well designed, thin, sturdy, metal easel as part of the outfit and it all works great together. It all also works fantastic as a second station in the studio. If you have any questions about anything here in this post shoot me a message and I’ll do my best to help you out.